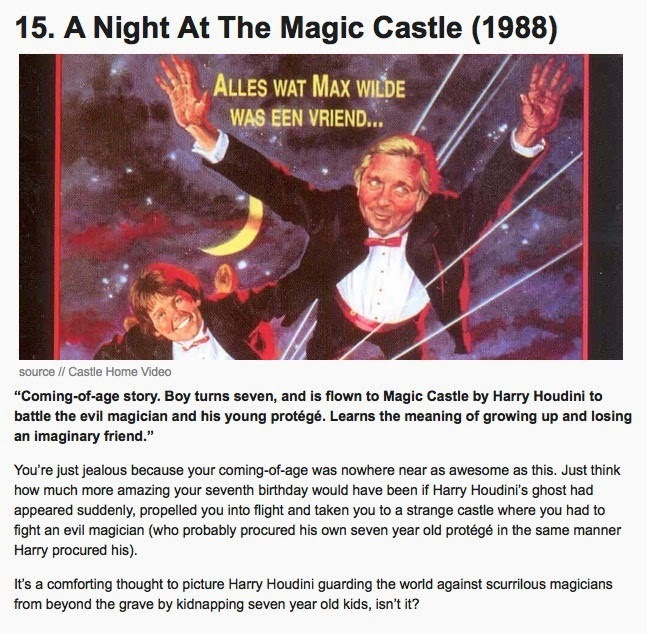 Entertainment website What Culture has posted "20 Obscure Movies With Hilarious IMDB Descriptions," and at #15 is the most obscure (and bizarre) of all Houdini movies, A Night At The Magic Castle. For the full article by Sara Rowe visit What Culture. To read more about this true Houdini/Magic Castle curiosity and to watch a few clips, check out THIS POST.